Plastic wood is mainly used as a substitute for wood. The difference between plastic wood and pine, poplar and other natural wood is that it is a kind of “wood” made of plastic and wood fibre. 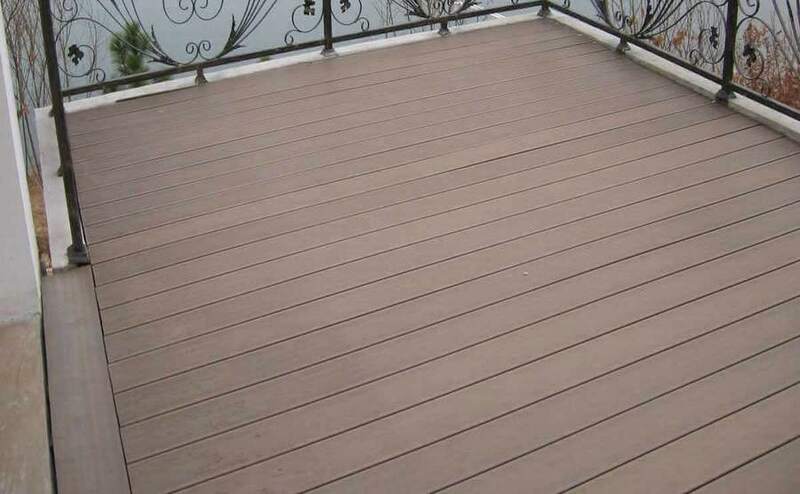 At present, most of the wood fibre content in the Wood Plastic Composite Decking products produced is more than 50%, mainly wood. and there are some nicknames for this kind of material at home and abroad, such as “waterproof wood”, “environmental protection wood”, etc., the serious tension of global wood resources has provided a wide development space for the plastic wood floor. The following points should be noted during the installation of plastic wood materials. Tips for using alloy saw blades and drills: a saw blade with thin teeth (such as 45 cm in diameter, 18-24 teeth) is easier to cut. Wood plastic profiles are very convenient to use. 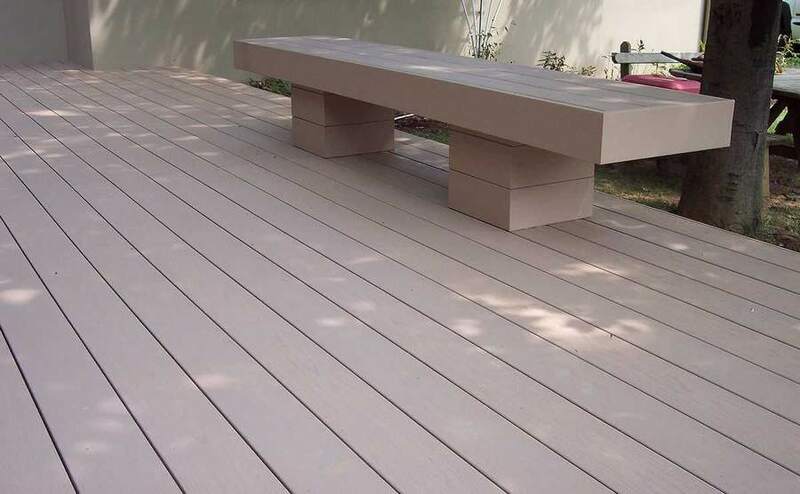 Unlike wood, you don’t have to consider the direction or junction of wood grain when using Co-Extrusion decking. When drilling a large or deep hole, exit the drill regularly to bring out the debris, and don’t always want to drill once. Under normal circumstances, wooden plastic section when installing joist requirement 30-50 centimetres span (according to the size of the section and decide). The self-working screw is durable and is the first choice to install wood plastic profile. Special screws are used for installation and must be drilled in advance. The diameter of the predrilled hole should be less than 3/4 of the diameter of the straight screw or screw. When the profile width is greater than 10mm, each end should be fixed with two screws. In particular use environments or under unusual loads – such as hot water baths – the installation may require shorter distances. Considering the reasons of drainage, cleaning and slight thermal expansion and shrinkage, proper clearance must be left between the edge and the end of the head when the plastic wood profile is installed. Edge to edge: the requirements between the edge and edge of wood plastic profiles are greater than 4 mm: when installing in cold weather, the clearance requirements are greater than 4 mm. Head to head: the size of the clearance between the head and the head of the wood-plastic profile depends on the length of the profile, the temperature at which the profile is installed, the thermal expansion coefficient of the profile （ζ≈0.9×10-4）.and the maximum possible local temperature. For an L m long profiles, the highest possible temperature for Tmax within a year, local installation temperature of T, then this section head when installation should be reserved clearance Δ L=ζ×（Tmax-T）×L. Δ L=ζ×（Tmax-T）×L = 2000 * (40-10) x 0.9. Note: proper clearance must be ensured when wood – plastic profiles are installed and directly mounted on supporting beams. Do not fix the wood-plastic section directly to any solid surface, such as concrete, roof or roof. 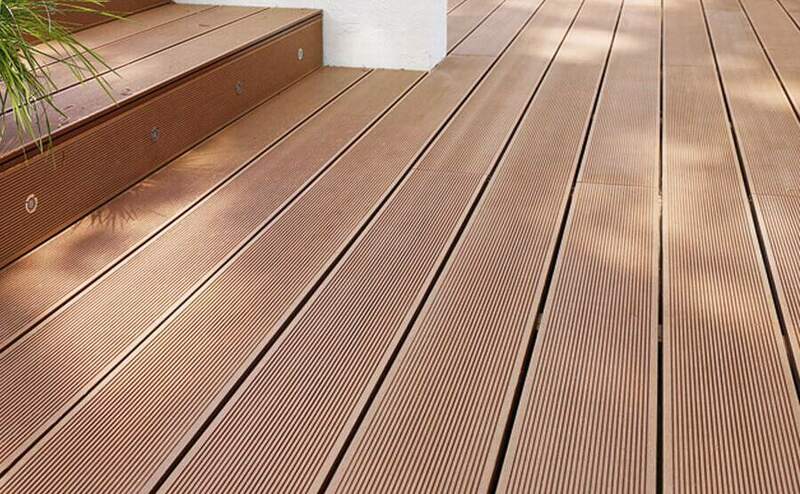 (1) when outdoor Co-Extrusion decking is used for balustrades, it must be lined with the steel pipe or square steel, and the same floor should be absolutely solid. 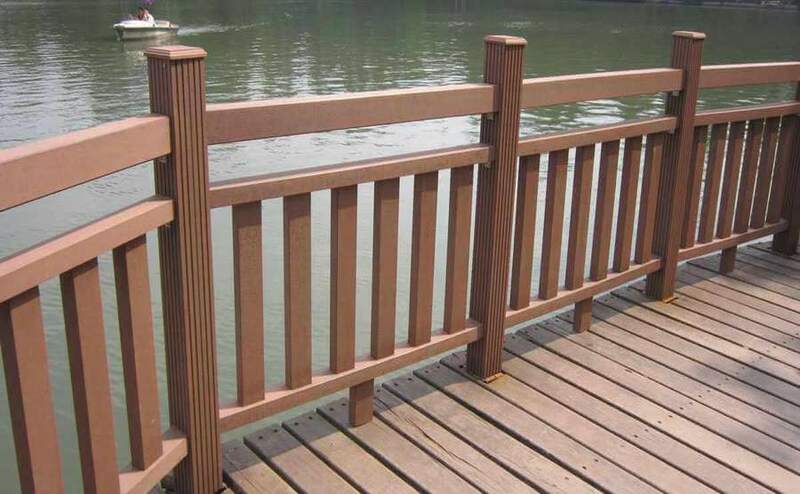 The spacing between the balustrades should be every 450mm, so as to prevent deformation and falling down. (2) when plastic wood is used in a pavilion or flower stand, the thermal expansion coefficient should be taken into account, and the columns and beams should definitely be lined with straight pipes and firmly connected vertically. (3) the plastic has no certain plastic characteristics, so when the length is more than 3 meters, the material has certain bending, which is easy to be corrected to normal when installing. If the plastic wood section is shaped differently, its bending deformation degree is relatively increased. The installation is capable of basic calibration in place. (4) when the profile is installed vertically, and the length is more than 3 meters, each end shall be fixed with 4 pairs of clamping screws. The vertical screw spacing is more than 40cm so that the force of 4 screws at each end is averaged.